Temple AdEL is using Smore newsletters to spread the word online. THE TIME HAS COME! 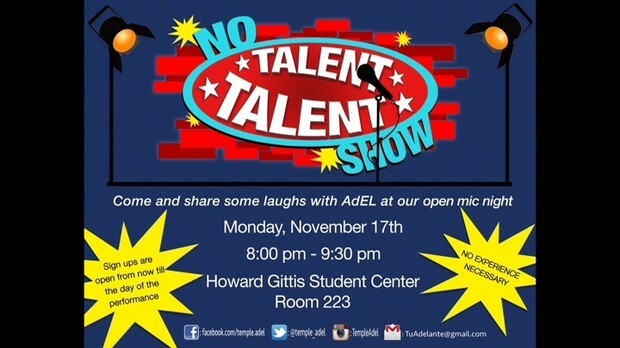 WE ARE HAVING OUR TALENT SHOWCASE THIS MONDAY AND IT'S ABOUT TO LIT. If you have a talent, a hidden one or one that you already love to showcase, this is the space to show everybody what you've got. BUT IF YOU DON'T HAVE A TALENT, this is also the place to showcase your lack of! This is just an opportunity to get up in front of some of your favorite people and just let loose, whether it be with a talent or just having a fun time! Additionally, we will be having a karaoke session so come ready to sing your little hearts out. Tonight's Free Food Fun Friday! 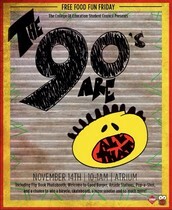 Tonight's FFFF is 90's themed! 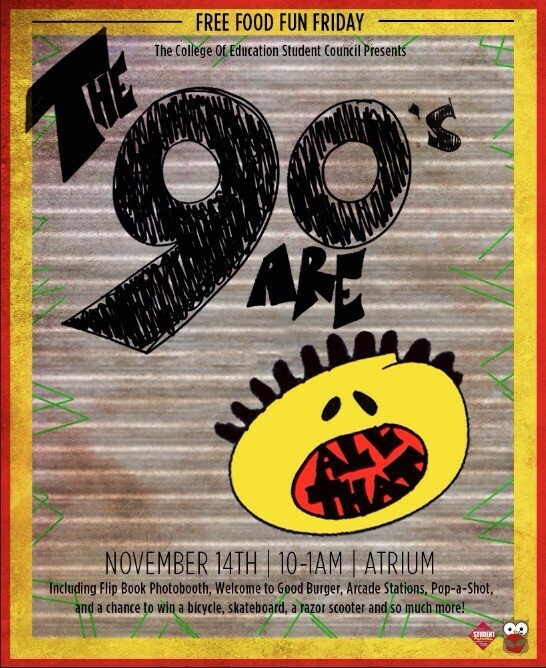 "THE 90'S ARE ALL THAT" will be tonight's event in the Student Center Atrium. It will be a tons of fun, with a lot of give-aways and an opportunity to reminisce about the 90's- one of the best decades we could have ever had the privilege to grow up during! Make sure to come out and have a blast! "There's a fire that ignites in her eyes as she walks with her head held high. As it continues to burst into flames, it is clear such passion cannot be measured or tamed." Interested in becoming a part of the 1st Latina Sorority at Penn? Come learn what it takes to be a Señorita of ΣΛΥ at our Formal Tea happening on Saturday, November 22nd at 2 PM SHARP! 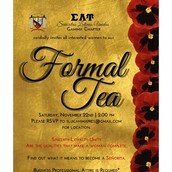 Please RSVP to SLUGammaPres@gmail.com or h.ejecucion@gmail.com to receive location information. Business Professional Attire is required. 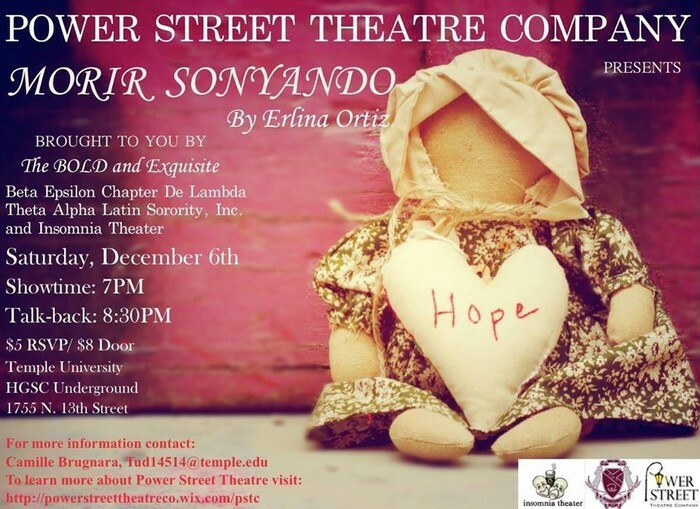 Morir Sonyando, brought to you by Lambda Theta Alpha Latin Sorority, Incorporated and Insomnia Theater, is a play about family and the grace we must choose to bestow on one another every day to keep alive. Morir Sonyando was listed in the Philadelphia City Paper as the top 15 must-see-shows in the Fringe. This production will be held in the HGSC Underground. 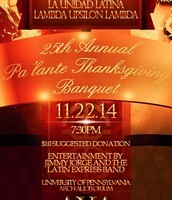 To buy tickets contact any LTA undergrad, Insomnia Theater executive board member, or buy online. 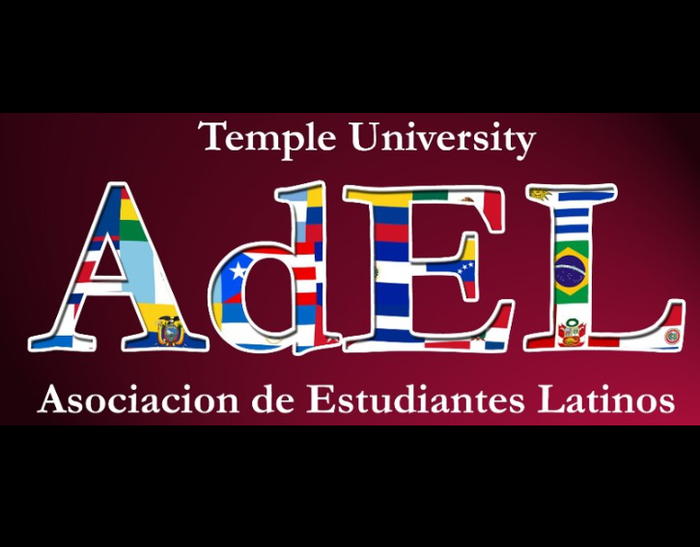 AdEL stands for “Asociación de Estudiantes Latinos”. We are the Latino umbrella organization on campus. 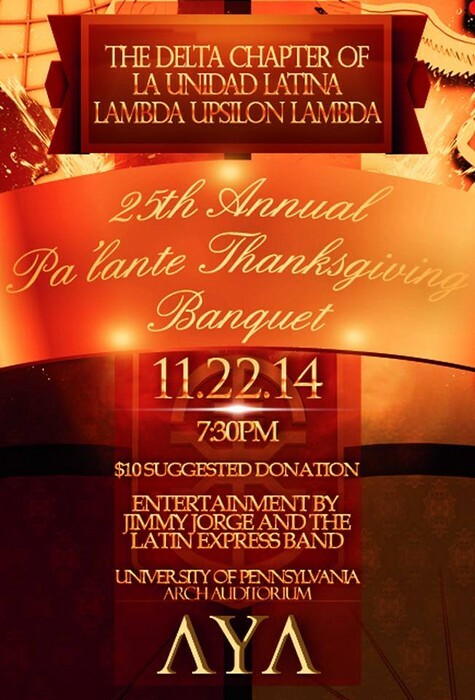 We have various groups that are "under us" such as the dance group (Esencia Latina), Latino Greeks, and many more. Not exclusive to just Latinos, we invite everyone and anyone of any race, religion, ethnicity, and sexual orientation. 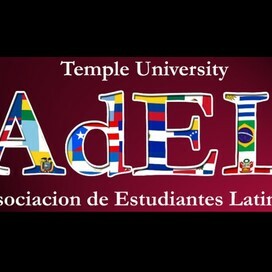 Our mission is to enhance awareness of Latino issues and heritage in the Temple University community; to provide forum for Latino students; to advocate for issues that have a direct impact on the Latino student body specifically and the Temple community in general; to provide support and resources to the Latino campus community; to facilitate and promote communication among members, to sponsor activities and events that ensure AdEL`s purpose; and to collaborate with other organizations within and outside of Temple University.